Voluntary Donations accepted, luncheon served. Shaykh Ahmed Abdur Rashid is the khalifah of the late Hazrat Azad Rasool (may Allah’s blessings be upon him) of New Delhi and an authorized teacher of the Naqshbandiyya, Mujaddadiyya, Qadriyya, Chishtiyya, and Shadiliyya Sufi Orders. He has applied the essence of Islam and Tasawwuf to contemporary issues for more than thirty years through programs in education, leadership training, sustainable development, peace building, and cross-cultural relations. He has established a number of Montessori preschools as well as a small, private school for grades P-K through 12. Founder of the World Community, a spiritual center in southwestern Virginia, he sits on the boards of advisors of the Islamic Studies and Research Association (ISRA) and the International Association of Sufism and served as a delegate to the Millennium World Peace Summit of Religious and Spiritual Leaders at the United Nations. He has lectured at the State of the World Forum 2000, the Asian Conference on Religion for Peace, the International Symposium on Science and Consciousness, the Sufism Symposium, the Islamic Unity Conference, conferences of the Association of Muslim Social Scientists (AMSS) and the Muslim Peace Fellowship, Kent State University, Randolph-Macon Woman’s College, Virginia Tech, the University of Virginia, Sweet Briar College, and Johns Hopkins University, among other forums. His articles have appeared in “Taking Back Islam” (Michael Wolfe, ed. ),The American Muslim, World Affairs, Education and Urban Society, Sufism Journal, Man and Development, and other publications. He has also published several books, including “ Islam and Democracy: A Foundation for Ending Extremism and Preventing Conflict“, and “Applied Sufism: Classical Teachings for the Contemporary Seeker“. Shaykh Ahmed Abdur Rashid has been the khalif of Hazrat Azad Rasool since 1984. 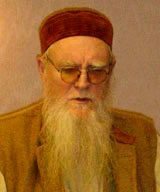 Shaykh Abdullah Nooruddeen Durkee is a Muslim scholar, thinker, author, translator, and the Khalifah (successor) of the late Shaykh Ibrahim Muhammad al-Battawi of the Shadhdhuli School for the Tranquillity of Being and Illumination of Hearts in the Western Hemisphere. His teachers include Shaykh Umar Abdullah (ra) of the Comoro Islands, Shaykh Seyed Ali Ashraf (ra) of Dhaka and Jeddah, and Shaykh and Qadi (retd) Muhammad al-Jamal ar-Rif’ai of al-Quds ash-Shareef in Jerusalem. Presently, he is the Director of the Green Mountain School and the Islamic Study Center of Charlottesville, Virginia. His major contribution is in the area of education, and for many years specifically in the realm of teaching reading, writing, and reciting of Qur’anic Arabic. nearby Muslim communities on the Eastern coast of United States. He also serves as an advisor to ISRA and actively participates in their activities and conferences in support of spreading the love of Allah (swt) and his Messenger (saw). Syed Zain Al Abedin is an active and well respected caller to Islam in America.He is originally from Hyderabad, Deccan, India. Born in a family of illustrious spiritual guides and scholars tracing its roots to Holy Prophet Muhammad (saws) through Imam Husayn Radi Allahu Anhu and Sayyida Fatima Zahra Radi Allahu ‘Anha, he inherited the ancestral qualities of dedication and humility which form the key components of his personality. He was educated in India and the US and holds degrees in Business and Public Administration. In 1989 He established his own business which he still owns and operates. His Islamic education was done at the hands of his father late Hazrath Syed Mahmood Sahib, who was a poet and scholar specializing in critical research in the history of Islam. Furthermore he studied Qur’an, Arabic,Fiqh, and Islamic spirituality under local ulama and teachers of Hyderabad. He has been actively involved in Islamic work in America. He is the founder and president of ISRA (The Islamic Studies And Research Association), which is a growing national movement with representation in 7 states. Previously he has co founded and served in a number of Islamic organizations and mosques in America as Imam and Khateeb. Currently he also serves as one of the Khateebs of Islamic Center of Florence in Florence, South Carolina. Additionally he delivers Juma Khutbas to Muslim inmates at Turbeville Correctional facility in Turbeville, South Carolina and The Federal Correctional Institution in Bennettsville, SC.